Born in Volos, at the heart of classical Greece, and educated in Nietzsche's "philosophical" Munich, Giorgio de Chicoro then moved to avant-garde Paris where his art (which aimed to reveal the enigmatic mechanisms of the unconscious) influenced the emerging Surrealist generation. He was first noticed by Pablo Picasso and Guillaume Apollinaire, when he exhibited in 1913 at the Salon des Independants in Paris. He then met Brancusi, Braque, Jacob, Soffici, Leger and Derain. His metaphysical works were exhibited throughout Europe. In 1928 he held his first one-man exhibition in New York at the Valentine Gallery and shortly afterwards exhibited in London. Indeed, in those years, as well as painting, he dedicated himself to writing and also to stage designing for theatrical shows and ballets. He continued to exhibit in the most important art galleries both in Europe and America. He died in Rome in 1978. Among his most famous paintings are: 'Hector and Andromache' and 'The Disturbing Muses'. 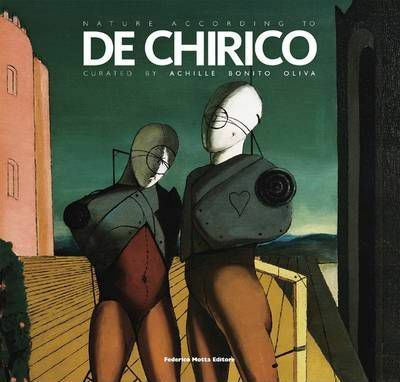 The exhibition 'La Natura secondo De Chirico' will be at Palazzo delle Esposizioni, Rome from 8th april to 11th July 2010. Achille Bonito Oliva, born in 1939 is a poet, art critic, and professor at the University "La Sapienza" in Rome. He has also been in charge of the organisation of the XLV Biennale of Venice (1993).